Gome Electronics, a fully-owned subsidiary of Gome Telecom Equipment, is listed on the Hong Kong Stock Exchange. Apart from smartphones, the $11-billion Chinese company plans to foray into consumer product categories like televisions and home appliances in India. After the success of many Chinese companies in India, another smartphone and appliance maker, Gome Telecom Equipment, plans a mega launch of its products in the country. 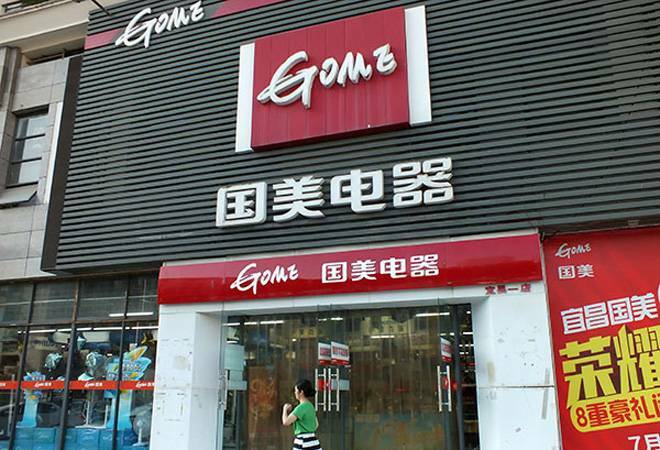 With over 1,700 stores in mainland China, Gome is an emerging force in electronics and smartphone retail business. The company's expansion to India is inspired from the success stories of the Chinese companies like Xiaomi, Oppo, Vivo, and Lenovo, all of which jointly hold over 50 per cent of the smartphone market in India. Gome Electronics, a fully-owned subsidiary of Gome Telecom Equipment, is listed on the Hong Kong Stock Exchange. Apart from smartphones, the $11-billion Chinese company plans to foray into consumer product categories like televisions and home appliances, reported ET. It has partnered with multi-brand stores to sell these products. This puts the company in direct competition with the likes of Samsung, TCL, and Indian brands like Godrej, Bajaj, etc. The company has roped in Piyush Puri as head of Indian operations in March 2018. Puri worked as the country head of US multinational Foxconn's in-house brand InFocus for three years. He launched the inFocus mobile brand in India and partnered with Amazon for the brand's online expansion. As a first, Gome Electronics will come up with three Android powered smartphones in the sub-Rs 10,000 range during the upcoming festival season in India. These products will be sold at multi-brand stores as well as online. The company is also in talks with domestic e-com giant Flipkart for the sale of its consumer durable products like televisions, kitchen appliances, refrigerators, and washing machines. For its smartphone category, the company has roped in actor Ranveer Singh, while it is looking for another brand ambassador for the consumer electronics line. Complex market and high taxation are big disadvantages for overseas companies hoping to capitalise on the Indian boom. The company's long-term plan includes setting up operations in India, which will save it from paying heavy import duty.